I like to use a checklist of things to pack and do for a long trip to make sure I don’t forget anything. This one is specifically for Thailand. You can add and subtract certain items, but I would be really careful about dropping items. I have a packing list you can print out here in .pdf format. I would literally check off items as you pack them. It’s a long flight to Bangkok, there’s no way around it. It is almost on the opposite side of the globe. It’s not quite as long as a flight to Africa, or India, or Australia, but it’s close. It’s a 2 hour 20 minute flight from SLC to SFO, a 3 hour layover in SFO, a 14 hour flight from SFO to HKG, a 3 hour layover in HKG, and a 3 hour 20 minute flight from HKG to BKK. It’s a long long day! And during this “day”, we pass through 13 time zones and the international date line. We miraculously land close to 2 days after we leave. You will have no sense of time or place; your body will be completely out of whack. 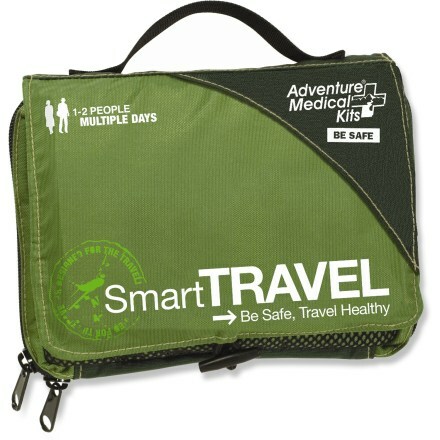 Zip Lock bags, various sizes – These are incredibly useful, and take up almost no room. They can be used to pack up wet or dirty clothing, used to store liquids when going through airport security, waterproof important documents or electronics, pack potentially leaking toiletries, etc. This site has some other wonderful ideas for these incredibly useful items. Garbage bags – For the same reasons as above, but for bigger and bulkier, or more, things. And they make a handy emergency poncho. Duct tape – This is obvious. You can repair your bag, use it as a label, repair clothing….its uses are only limited by your imagination. Here are some more ideas. You can bring an entire roll, or roll some around your water bottle or other cylindrical object. Thailand is hot and humid, especially in May and June. The monsoon season is just beginning, and the air feels saturated with moisture. It may not be quite as hot as August in Salt Lake City, but the humidity leaves you soaking after just walking a city block. It’s tempting to wear a t-shirt and shorts all the time. And if we were in the US, we would. But we’re not in the US. Of course you’re going to need personal stuff…toothbrush, deodorant, medication, sunscreen, etc. Luckily, most items are readily available in Thailand, as long as you’re not too picky about brands. So don’t worry about bringing a month’s supply of shampoo or soap, unless you HAVE to have a particular brand. Just bring a few days worth, and buy what you need when you get there. Hair products such as gel, mouse, etc.